Check out this photo taken in August by Stephen Stone, an employee at Mt. McKinley Princess Wilderness Lodge. 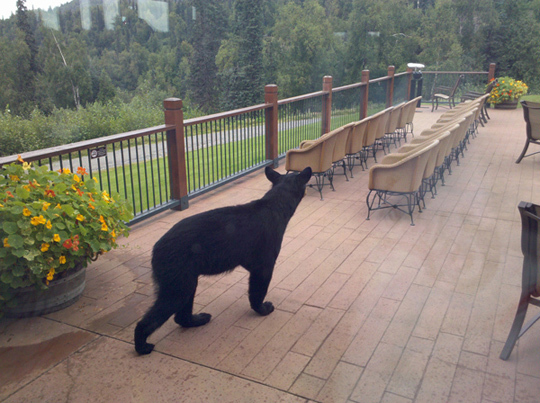 Stephen was safe inside when he captured this great shot of a black bear meandering across the lodge deck.